457 visa (skilled ). Temporary Employer Sponsored Work Visa. The Temporary Work (Skilled) – Standard Business Sponsorship (Subclass 457) is a visa whereby an employer sponsors a potential employee to come to Australia and work. This method of recruiting is available to businesses that aren’t able to find an Australian or permanent resident to fill that role. The job that the employer is looking to fill has to be on the Consolidated Sponsored Occupations List. To begin the process of obtaining an immigration visa, the employer applies to be a sponsor. They then nominate a position that needs to be filled and then the employee submits their application for a visa. All of those documents can be submitted at the same time. 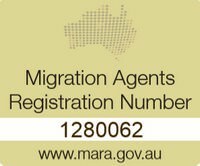 This visa allows the holder to travel in and out of Australia with their family as often as they wish for up to four years – the maximum length of the visa’s validity. The requirements for the visa holder are that they possess the skills, experience and qualifications to complete the job appropriately and that their ability to speak English has been demonstrated. Health insurance is also required for the visa holder and their family as well as any licences, certificates or registrations they need in order to legally do the job. To be eligible, the potential employee can be working for the company for the first time or be transferred from another position in the same company that has an overseas office. Current holders of the 457 visa can re-apply for the same one to continue their work and life in Australia for up to an additional four years. There are health and character requirements which say that an applicant does not have a criminal element in their history and that they don’t carry a condition that will affect the general public.